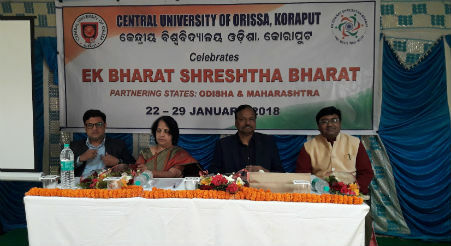 Koraput: Central University of Orissa organized a special programme and a weeklong workshop to celebrate the Ek Bharat Shrestha Bharat at its Sunabeda campus today, inorder to bring together people of diverse cultures living in different States of India for promoting greater mutual understanding. 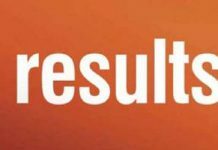 As per the guidelines of the MHRD, the Maharashtra is the paired state with Odisha. The weeklong work shop on Marathi Theatre is going to be held from 22 – 29 January, 2018 at the CUO premises. Prof. Sachidananda Mohanty, Hon’ble Vice-Chancellor, inaugurated the programme and delivered the inaugural address. Shri Sandeep Sapkale, Mahatma Gandhi Antarrashtriya Hindi Viswavidyalay, Wardha delivered the keynote address on “ Natak Evam Theatre par Marathi Sanskriti Ka Prabhav”. Prof. Sandhya Rayate, University of Mumbai, the resource person also spoke. Prof. Mohanty outlined the unique culture of India. Its unity in diversity is a long cherished one. He said “Orissa and Maharashtra have historical ties. Theater is very important, as it helps to reflect the culture, traditions and reality of the society”. He also said “Language is the primary instrument of culture, there would be no culture without language. He stated that students of the Central University of Orissa must have national and international aspiration”. He advised the students to actively participate in the workshop and learn various things about the beautiful culture of Maharashtra. He also said “this initiative of Govt. 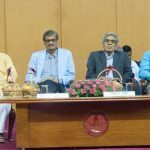 of India (MHRD) of Ek Bharat Shreesth Bharat will create a unique opportunity of exchange of culture, ideas and tradition between this two paired states (Odisha and Maharashtra)”. He underlined the seminal importance of Maharashtra for the growth of the Indian nation. Prof. Rayate in her address talked about the vibrant Marathi culture, Mumbai theatre. She said that “theater seeks only talent not religion, cast and place of a person”. Shri. Sapkale in his keynote address highlighted the history of Maharashtra and impact of Marathi culture on Natak and theatre. He said ‘we cannot find popularity of theatre as we find in Marathi culture’. Every family in Maharastra has an interest to see theatre. He has given beautiful example of popularity of Sangeet Natak and Mythological play and actors and actress. He advised the students to learn more about the tradition, culture of Maharashtra and its impact on the natak and theatre. Shri. Sourav Gupta, Assistant Professor & Convener, EBSB delivered the opening note and thematically address. Sushree. Mercy Mousmi Takri, compeered the programme. Dr. Phagunath Bhoi, PRO, gave the vote of thanks. Students, Faculty and staff were present in large. The programme was organized by the Public Relations section of the University.